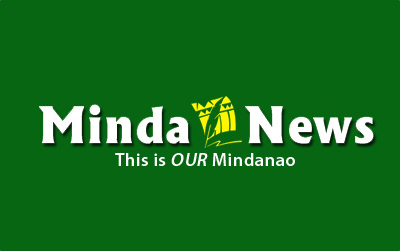 NAAWAN, Misamis Oriental (MindaNews/08 November) — Was Super Typhoon Yolanda willed by God to punish sinful people along its path? Or, was it one mischievous scheme of the devil to loosen the faith of the people in God? I say none of the above. What are viewed as disturbances in this planet, like hurricanes, tornadoes, earthquake and tsunamis, are regularly occurring and recurring phenomena. We call these occurrences and other external processes around us as acts of nature. The monster typhoon that wasted Tacloban was nature’s act. God and the devil had nothing to do with the tragedy. It seems that when the stars, the planets and all other things in the universe were already put in their proper order, they got life of their own. God considered this good and left them to their own devices. The planet Earth, which man has occupied for millions of years, is as alive as its human occupants. The life of the planet is expressed in energy exchange or transformation processes like photosynthesis, food chain, volcanic upheavals, and temperature changes and interaction in oceans and land masses. The outcomes of these processes come in such forms as hurricanes and typhoons, storm surges, tornadoes, earthquakes, tsunamis and the like. They cause destruction and death and but also bring replenishment and sustenance to living organisms. These continuously and regularly occurring processes have been here billions of years ago even before the advent of man in this planet. Nature, as the entire sustaining processes in the planet are generally referred to, will continue to express itself in manners already known by man. And it looks that God has found no reason to stop or alter the established order of things. So what man ought to do? It is to avoid, escape or reduce the impact of natural disturbances. Possessing superior brains, man can actually protect and care for himself and his environment. He needs only to optimize the use of his intelligence, like pushing his science and technology a little further, to understand and wisely manage the outburst of nature. He should build settlements away from fault lines, and away from floods, tsunamis and landslide-prone areas; construct houses that can withstand a 200-mph howler and which can also dance gracefully with an 8.0 magnitude earthquake; and tap his mega-computers to predict the occurrence of earthquakes the way he now predicts the coming of super typhoons. Moreover, men have to learn to set aside their differences, be more kind and compassionate to one another, and to unite and put their act together to increase their chance of survival and attain a much improved quality of life. When confronted with a question whether a thing is an act of God or an act of nature, this observation may help: Nature is blind, God is not. Consider this. In normal or “good times,” nature provides life-sustaining sunlight and cool and refreshing rain to the good, the bad and the ugly without discrimination. In ‘’bad times’’ nature is undiscerning in unleashing its fury to all in its path. The God, on the other hand, of those who believe in the Holy Book is a wise and discriminating God. He saved the family of Lot from the rain of fire that consumed Sodom and Gomorrah. God also saved Noah and his family from the worst flood that ever happened on earth. Did God listen to the prayers of the people in the midst of the Yolanda storm? He did but His responses to the individual prayers were likely outside the expectations of many. He did not stop the storm, as some might have prayed for, for reasons He alone knew. We could only speculate that halting a terrible moving force like Yolanda may result in much graver devastation than if allowed unhampered in its course. To some faithful who suffered badly, God put an end to their suffering and allowed them to die and join their maker. But many were plucked to safety from the raging waters and spared from crumbling buildings, fallen trees and flying debris. Indeed, a great number survived the catastrophe to tell their stories – how God answered their prayers. The goodness of God did not end from saving the victims from torture or instant death. God moved people of different creeds and persuasions from within the country and from all over the world to respond with kindness and compassion to the plight and needs of the victims. The devil does not fly with the mighty storms but dwells comfortably in the hearts of wicked men. He was there with the looters who stole and hoarded food and other things beyond their basic needs to satisfy greed. He was there with the rascals and the opportunists who took advantage and deprived the weak of their honor and precious possessions. The devil was there with the politicians who stamped their pictures and their names on publicly-funded relief goods to attain visibility for the 2016 elections.